Key Question: How can we distinguish between Authority and Power? Power is when you are able to do something whether you have the right to or not. Example 1 - A thirteen year old boy may have to power to drive a car, but not the right to. Authority is when you have the right to do something. 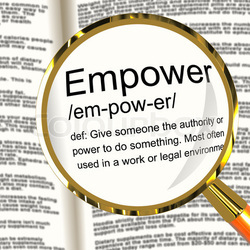 Example2 - A seventeen year old with his driver’s license has the authority to drive as well as the power. *These are some super simple examples. Usually if you have the authority you have the power, but not always. For example, Mexico has the authority to end its drug problem but not the power to do it because the drug cartels have too much power. Below is a copy of the lessons you will take throughout this unit. If you are absent from school or for any reason are not sure about what was studied on a particular day then please feel free to look at the document below and ask me any questions you may have. Here you can download worksheets, PowerPoint's and other documents we have used in class. For your first assignment you will be focusing on people who are disempowered. You will be required to write in the form of a newspaper article. We will go through all of the elements in class but a copy of the assignment sheet along with two examples of student work from the past are below. You can use a template using Microsoft Word. When you open a new document scroll through the templates on the left-hand side of the screen select "Newsletters". Choose one of the templates and begin to edit it. If you want to try a more advanced template then select "Newsletter Wizard" and you can download similar templates to those below.